A very disturbing, chilling, and intense personal account of life in a Nazi concentration camp. 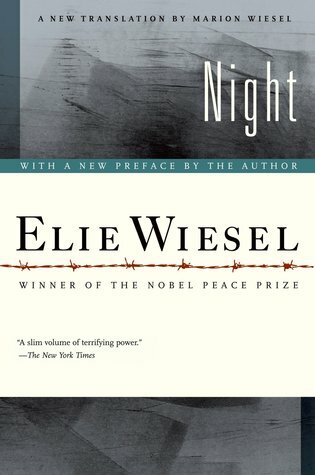 This book will not shock you with gory details necessarily, but you will be moved by the internal turmoil described by Wiesel. His relationship with his father is heartbreaking. A short yet very powerful book. Sign into Goodreads to see if any of your friends have read Night.